After buying the supplies and building these myself, I have updated instructions on how to build tomato cages. The old way I suggested used zip ties, and required much less cutting. However, it required flattening out the remesh and rolling it the other direction, which was also a lot of work. In the end, I decided to go with the roll and cut, cut, cut. It’s pretty expensive to tackle this on your own, especially if you don’t need 20 tomato cages. Find some friends and neighbors who are interested in buying some and share the cost! It ends up being about $6.60 each, including the bolt cutters. Not bad for 5′ tomato cages! Remesh is divided into 6″ squares, which is great because you can reach right through to pick your tomatoes. It also makes it easy to measure! Realistically, I did not unroll this all the way–just enough to cut a 5′ section. Step 2–Cut to 5′ lengths using bolt cutters. They don’t need to be huge, heavy duty cutters. I got the smallest pair and they were perfect! Step 3–Wrap the remesh into a cylinder and use the “pokey” ends to keep it closed. Step 4–Secure the tomato cage. I found an easy way to do this using the “pokey” end that sticks out. I grabbed it with my hand. . .
. . . pulled it down. . .
. . . and pulled it forward until it snapped into place. Step 5–Roll, push, and pull to get the cage into a circle. Step 6–Cut off the bottom ring. 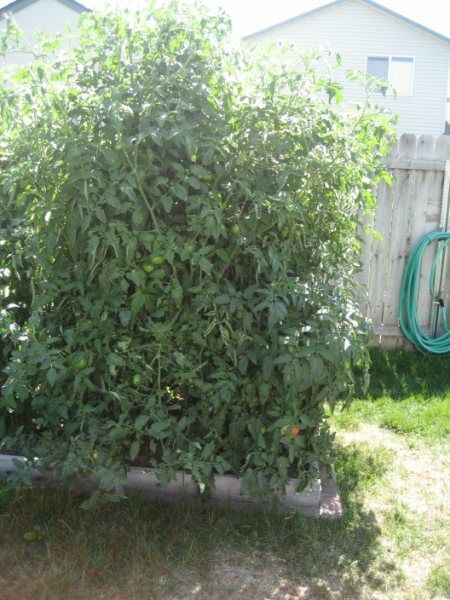 Step 7–Place in 2’x2′ section to support one indeterminate tomato plant. Step 8–(optional) For deeper garden beds, cut off an additional ring. First, take back what you bought. It was a bad batch. If they will let you return it for exchange, try again. The metal should not be falling apart. Second, look at a local ag coop. They might have fencing that you could use. It’s been a few years since this has had a comment but I’m just now trying to do this. Went to buy this today. Found the right “size”, 100ft by 5ft, for $100, looked strong…. Brought it home and rolled it out and most of it was broken. It was flimsy, brittle and had already broken. The more we unrolled it, the more it broke. Do they still make the stuff you’re talking about? I’ve looked online and can’t find anything. My tomatoes grow over my 6 ft fence at least another 3 feet. I need something strong and tall! When using this type of wire mesh it is important to know that it wants to retain it’s “rolled up” shape. When you lay it out flat and cut off a section the part still attached to the roll will spring back violently while the other section quickly heads the other direction. Cut close to the roll and keep weight on both sides of the cut to avoid flying pointed wire. If you don’t have weighty helpers to stand on the wire while you cut make sure you have concrete blocks or other heavy objects to keep it under control. I have witnessed many puncture wounds while working with this wire in construction. Each plant will need at least 4 squares, if they are indeterminate. For more info read about tomatoes. I have cages much like this that I bought ready made, though they don’t take up quite as much space (particularly because they taper towards the base of the plant. I just planted my tomatoes before actually seeing this posting, and I ended up planting three tomatoes across 4 squares (each in its own cage). Did I not leave them enough space? Will they be fighting one another for root space? I want to thank you for this wonderful gardening site. It tells me what I need to know without all the historyonics I find on other gardening sites. This is my first year SFG and the information about tomatoes helped me make a descision. I, too, prefer to let them grow as nature intended, but I agree they need support. I like Brandywine red tomatoes, yum flavor, and they tend to sprawl everywhere so now I know how to stake them! Yea! Western KY presents a challenge growing tomatoes. I’m hoping my new SFG spaces help. Built four 4×4′ and four 4×12′ beds. Used 2x6x12′ lumber. Planting enough vegetables for me, sister & her husband. Yes, you can grow them in one square foot, but it requires a trellis and CONSTANT pruning. So much work–this way you just “let them grow” and the tomato cages provide adequate support. I just have a question it is my first SFG this year and i read in Mel’s book that the tomato takes one square foot while here you are saying in takes 4 squares which is right ? Telisha–for cucumbers I would suggest a trellis with nylon netting, or another type of trellis. I’ve never seen them grown in a round cage like this, but it might work. You would not want it shorter, if anything taller! They tend to grow longer than my tomatoes! Hi Emily! Thank you so much for your website. 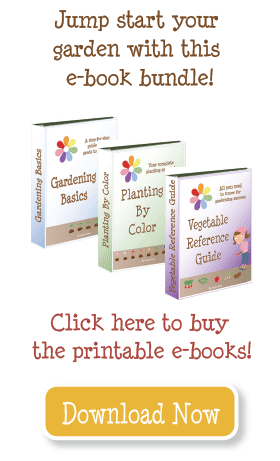 It is truly a blessing to be able to access an abundance of gardening information in one organized place! I love the tomato cages and I was wandering if a shorter version would work to support cucumbers. I don’t have a trellis and I already have the materials for the cages. Thanks in advance! Great tutorial! I wanted to share that when cutting the second layer…if you’d just trim from the right and leave the left on and bend it down so it looks like a pair of legs that it’d be more stable/sturdy. With the cages you can grow one indeterminate plant in 4 square feet. With these cages, how many squares do you find you take up with an indeterminate tomato bush? I love my new tomato cages! Thanks for the tips! I have some fencing like this that my dad gave me to put up when I watch their dog. I think I may need to use it around my propane tanks for the three grape vines I just planted. We have a lot of wind here so I think the extra support of putting part of it in the ground by cutting off the ends like you show here is just what we’ll need. Still not sure what to place on each end – maybe two 4x4s with the fencing in between. Also, I just saw this inspiration on another site and thought you might love it. I love the little fence! My sister has cages like that, her tomatoes do great. In the spring they often have a sale where you get $25 free if you buy $25.